7140 - Flood-Gate Automatic Backwater Valve - Jay R. Smith MFG Co. The FLOOD-GATE automatic backwater valve is designed to protect a building and its contents from damage due to a backup in the drainage system. Functions as a drainage control valve providing "closure" protection during emergency storm conditions or when building is completely shut down. 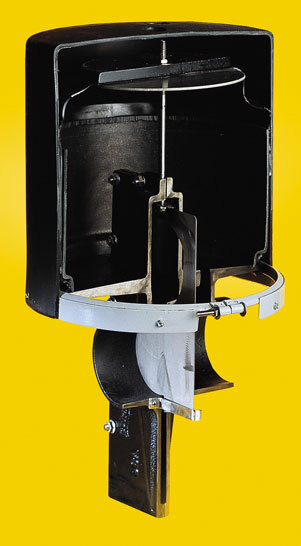 The Flood-Gate® does not have to be activated as no electronics are required for valve operation. The valve is completely automatic both closing and resetting. Once closed it prevents any leakage beyond the gate. Applications include all commercial, institutional, residential and industrial installations including basements and elevator pits. The valve requires no electrical power to operate it; it saves energy and protects buildings from potential back flow issues. Duco Coated Cast Iron Body Complete with Stainless Steel Gate and Flexible PVC Diaphragm/Expansion Chamber.